Glass is no longer just a transparent building material used in external windows for natural light. It is of course still used for this, but glass and the general use of glazing has moved on from small box windows to a whole new level of construction. Nowhere can this leap in glass use be seen as greatly as in the interior of a building. 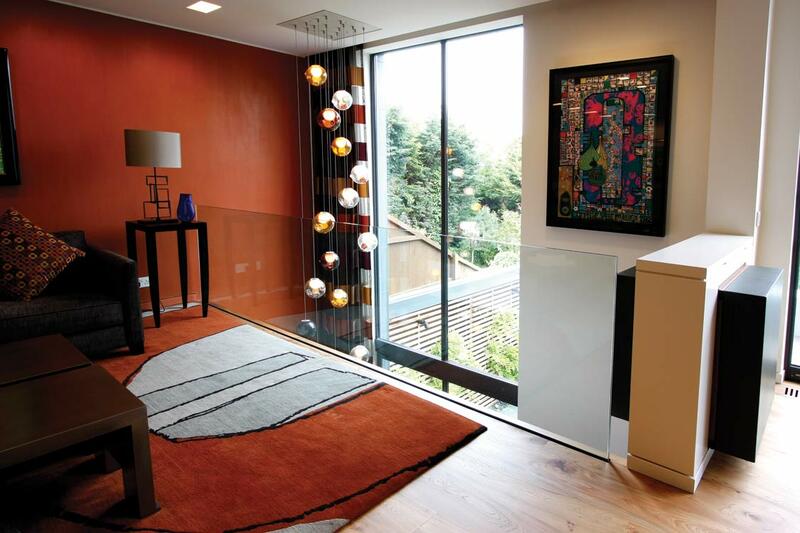 Glass is now used as simple, effective structural glazing on balustrades, internal glass walls, stairs and floors. These clear and sleek applications immediately enhance the internal design of buildings, adding light, movement and transparency within the space. Toughened glass panels are laminated together with clear, strengthening interlayers, such as PVBs, to provide structural glass units with the inherent strength required of these items. Due to the advancement and more widespread use of such internal structural glass elements, great effort has been expounded by the architectural glazing sectors to develop minimal, invisible supporting and fixing techniques for these clear glass items; thus providing the clear glass aesthetic that is so often sought after. It is not just the use of glass that has evolved but also what that glass can actually do. For example, there is a glass solution that can provide an energy efficient, radiant heat source simply from the glass itself. This heated glass solution incorporates a transparent metal oxide coating to the internal of the glass unit, which, when an electrical charge is passed through the conductive element, produces a comfortable radiant heat. It is used in balustrades, internal partitions and doors to provide a comfortable simple heat source to internal spaces. 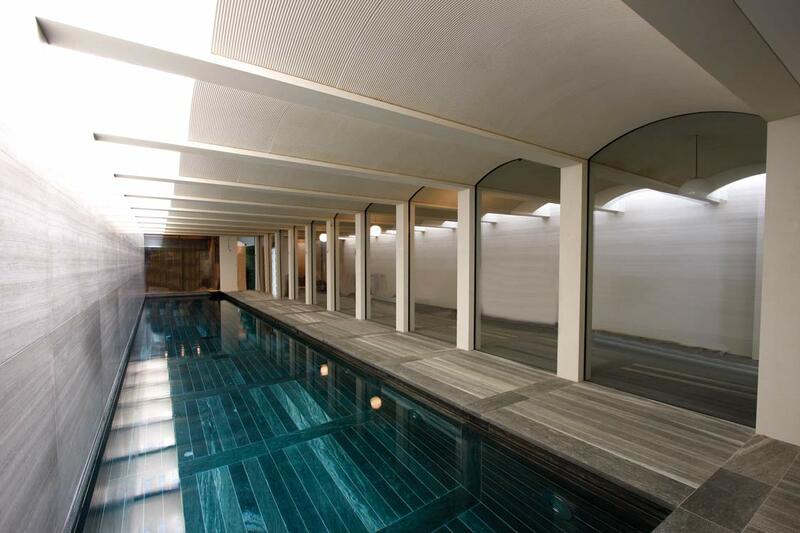 Heated glass is also used for an entirely different and very effective purpose on internal pool and spa areas. The glass units are configured to a lower wattage output to create a warm surface on the glass where no condensation will form. It is the preferred method of condensation removal on more minimal or contemporary areas, removing the need for large duct work or unsightly air blowers to keep glass clear. Privacy could be an issue when using large amounts of glass inside. But with the advance in electrical interlayers such as privacy glass, glass partitions and doors can switch from translucent to transparent and back again when needed. The LCD interlayer within the laminated glass panel effectively cuts all vision through a glass unit when ‘off’ but still allows upwards of 70 per cent light transmission through each glass panel. This glass solution is great for internal areas where privacy needs are variable such as changing rooms, meeting rooms and pool or spa areas. The thin, laminated glass panels are frequently used in fixed panels or moving parts such as doors, with clever hinges and fixings to hide all cables and electrical connections. More traditional privacy techniques are still used in internal glazing: solutions such as kiln formed glass and decorative and coloured interlayers are all used widely for obscuring vision through glass units to create privacy between internal spaces. For a more modern twist on the traditional, PVB interlayers, as used in laminated glass units, can be printed like a sheet of paper with specifically chosen images or patterns before lamination, sealing a coloured image into the glass panel. 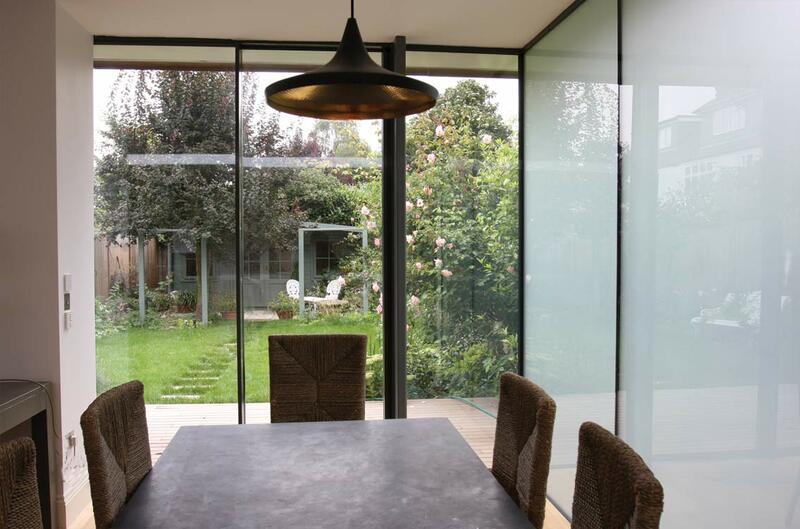 You can go even wackier than that if warranted; laminating materials, mesh, metals and even feathers within a glass unit creates a starkly different appearance, which can be used on any application of internal glazing. Whatever application, internal glazing now has the ability and capacity to be used widely and creatively throughout a build, producing some of the most impressive elements of a design or construction.